The biggest story of the fall, to date, is the inability of so many e-commerce, retail, and catalog businesses to reactivate customers, or to acquire new customers. It is an epidemic, folks. You keep asking me if your situation is unique. Your situation, my friends, is not unique. Catalogers, known to grumble with the best of them, are rumbling these days about the "collapse of the co-ops". I hear the questions all the time ... "The co-op business model literally forced me to use them, and now, performance is awful and nobody will help me. What happened, and how I can fix the problem?" Hint - you're not going to fix the problem. This is a consequence of incremental decisions made for twenty consecutive years. It can't be fixed by asking your co-op "big data modeler" to "do better". Co-ops are a symptom of a bigger problem ... catalogers have been cut off from customers < age 45 ... so the co-ops spin you the same 65 year old names over and over, to all catalogers, deflating response and exhausting the customer at the same time. Going forward, you should be asking the co-ops to pay you for names, given the profit some of these folks make off of your data when your data is sent into the mobile/social ecosystem. 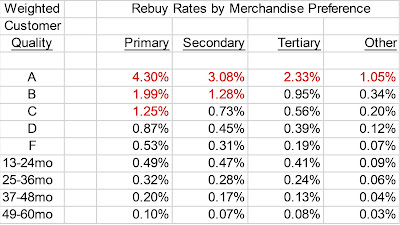 Retailers know that core customers are hanging in there, but reactivation segment repurchase rates are bad, and new customer counts are falling. The common theme, one that makes the vendor community a ton of money, is to simply be more "omnichannel" ... as if the real problem is that a customer doesn't want an item shipped to her house but would instead prefer to do all the work herself and buy the item online and then get in a car and waste two hours picking up the item. If these omnichannel tactics truly worked, then wouldn't new customer counts be exploding ... and wouldn't customer reactivation efforts be at all-time highs for effectiveness? The real problem is that we spent the past decade telling customers to not visit our stores. We told our customers, over and over, to sit at home and "browse". After 3,650 days of browsing (10,000 hours? ), we trained the customer to sit at home. Now we wonder why customers won't get into a car and drive to a store? We did this to our customers and prospects, it's our fault. In e-commerce, folks are learning just how hard it is to reactivate a customer when all you can do is email the customer or send messages in apps. Customer relationships, or the lack of them in e-commerce, are hurting e-commerce reactivation activities. Have you ever analyzed what happens to a first-time buyer at an e-commerce-only brand? Try it sometime. I get to see it every day, and it's not pretty. It doesn't take a rocket scientist to know that if you cannot reactivate customers, and you cannot acquire new customers, then you cannot have a healthy business. This is the story of the fall. You won't read about it in trade journals, and your favorite vendor will never talk about it, because they don't analyze the data in a way that allows them to see that this is happening ... it's impossible to see this issue if all you do is try to allocate affiliate orders on a mobile phone back to the retargeting ad that caused the behavior to happen ... and it is most certainly impossible to see this dynamic in your web analytics package. Three unique business models (cataloging, e-commerce, retail) ... all dealing with the exact same problem. This problem cannot be solved by Cyber Monday promotions. This problem cannot be solved with brilliant attribution algorithms. This problem most certainly cannot be solved by omnichannel. 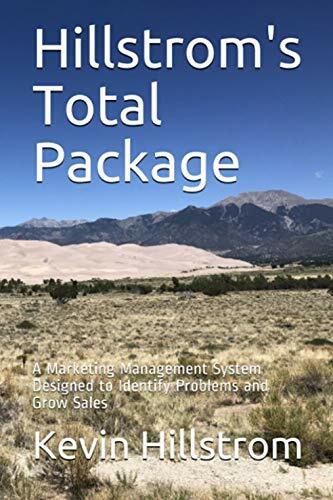 This problem can, however, be solved by your own marketing and merchandising efforts. We're all going to have to refocus on to stuff that matters, or in 2015 and 2016, our businesses will shrink.